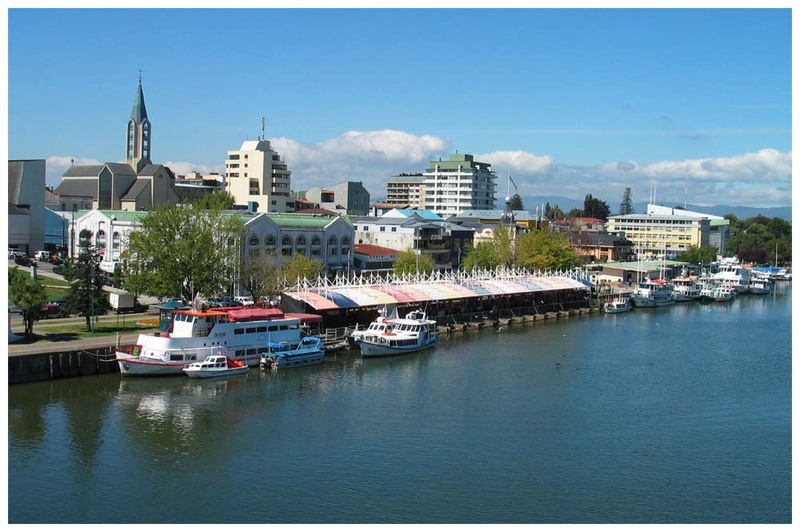 Have you heard of Valdivia? If not, you should, because it’s known to be one of the most beautiful places in South America. If you’re interested in startups, it’s not the only reason you may want to pay attention. Indeed, it’s also there that Webprendedor started on Sunday. Aimed at fostering web entrepreneurship in Chile, the event was launched in 2006, but it’s the first time it expands beyond Santiago and Concepcion. So what happens when Silicon Valley geeks and Chilean wannabe entrepreneurs get together in a small city in Southern Chile? Valdivia doesn’t sound like an obvious destination for a conference on web entrepreneurship. It only has 140,000 inhabitants and it takes a couple hours to fly there from Santiago. It’s not exactly a digital hub either; besides tourism, its main activities include forestry, naval construction and metallurgy. So why did Webprendedor decide to stop by Valdivia this year for two days of workshops and conferences at the local university Universidad Austral? The answer is talent, according to the event’s co-founder, Nico Orellana, himself an entrepreneur at Welcu (see our previous story.) Valdivia has good universities with quality Computer Science and Engineering departments, and this is exactly what Webprendedor is after; who’s better placed than a programming student to create Chile’s next cool startup? Yet, many of these students aren’t aware of this opportunity. During the first workshop, where Nico Orellana told a small local audience how his own company managed to raise money from Tomorrow Ventures and 500 Startups, a couple participants confessed that they didn’t even know what a startup was, let alone a Minimum Viable Product. It was only the beginning of a crash course which would also get them to hear about stock, options and term sheets from the founder of PB Works and Hacker Dojo David E. Weekly. Although this was the sort of things many first-time entrepreneurs all over the world wish they had known before closing a deal, it was hard not to notice that the audience seemed quite stunned. Even if they knew how to code and seemed fairly at ease during workshops on topics such as HTML5, the whole startup world was visibly completely new to many of them. Judging by the tweets they were sending, participants were enjoying the event and impressed by the speakers. However, the point of Webprendedor isn’t to intimidate wannabe entrepreneurs; on the contrary, the event’s main wish is to inspire people to work on their own projects. So how did it do the trick? Paradoxically, the solution came from getting the speakers to tell about their own stories. Indeed, even if these were success stories, they also had many elements that participants could relate to. For the American speakers, one of the keys was to remind them that the U.S. isn’t Silicon Valley. Many foreigners tend to forget that Silicon Valley is in fact an exception. By coincidence, several speakers had grown up in the Midwest. Britt Selvitelle, for example, grew up in Kentucky and his grandmother still doesn’t own a computer. Sure, he then moved to San Francisco to become one of Twitter’s earliest engineers and working there for five years, but a point was clearly made. As several speakers pointed out, it was also important to understand what makes Silicon Valley what it is. Around ninety participants listened Blackbox‘s founder Fadi Bishara unveil the secrets of Silicon Valley. According to Fadi, who helped build many startups, it all starts with the permission to fail, as taking risks necessarily implies that you may not succeed. Community is also extremely important: “it’s all about the people,” Fadi told. It’s also something that matters no matter where a startup is based. The need for an ecosystem is something a few people are fully aware of in Valdivia. One of them is Esteban Hernandez, a local entrepreneur who had been following Webprendedor’s previous editions. According to Nico Orellana, Esteban was instrumental in getting Webprendedor to come to his city. With Webprendedor, both the organizers and the speakers were hopeful that people interested in Internet and entrepreneurship in Valdivia got to know each other. To take it even further, formal networking opportunities like one-to-ones could also be a good idea if Webprendedor comes back to Valdivia next year, as it took a while for participants to start interacting. Along the same line, Esteban is also responsible for another initiative called Noctambulos Valdivia Inspired by the Night Owls co-working events that happen in several cities all over the world, it’s an after-work networking event for local entrepreneurs. Having a community means that first-time entrepreneurs could also find role models. This is why is was important for Webprendedor to have Chilean entrepreneurs among its speakers, such as Leo Prieto from Betazeta, which recently raised US$3m from a Chilean media group, and Andrés Arellano from Buxus, a personal money management tool. The closer the better, and a few talks focused on local ventures such as the game development studio Nemoris Games, which is based in the city, and Mindscoreapp, a music notation iPhone app whose co-creator comes from Valdivia. Again, the idea was to show participants that they could do the same. A talk specifically focused on the subsidies from the government program Corfo and the public-private partnership Sercotec that they could apply for, as both are active in Valdivia’s region and open to supporting digital ventures. Indeed, Corfo is also responsible for the Start-Up Chile program, which managed to attract startups from all over the world and is now also open to Chilean companies, something that many in the audience ignored. For the Guatemalan entrepreneur Christian Van Der Henst, it’s far from impossible to create a successful startup from Valdivia. There’s one condition though: “think global.” When coming from a small place like Guatemala or Southern Chile, it’s crucial to think beyond one’s local market. In other words, Valdivia has talent, and even a few role models. What it needs now is a community of people interested in going after the opportunity that startups represent. Hosting Webprendedor is certainly a step in the right direction and its organizers hope it will have a direct impact. As Nico Orellana told the audience, “it will be tragic if no startup project comes out of it” and participants were strongly encouraged to find their future co-founders among the public. As for the event itself, it has already moved on to its next destination, Concepcion, where the agenda is similar to Valdivia’s, with one day of workshops and one day of conferences. Its final stop will be Santiago on Friday and Saturday. While it was free of charge in Valdivia and Concepcion, Webprendedor is selling tickets for Santiago, but it doesn’t seem to have turned off many people, as 300 participants have already confirmed their attendance. What do you think is the best way to promote the startup culture in small cities?